Finding the best poetry books for children can be difficult at times, and that is why today I’m sharing a list of my very favorite poetry books for children. As an avid book reader and poetry lover, I have come across quite a few gems throughout my years of reading. I am not a fan of all poetry books -they have to meet a certain standard for me. Personally, I don’t care much for free verse or irregular meter. I appreciate it when authors take the time to create perfect meter and really make their poems flow. I love reading poems that have great meter from the beginning. You can just sense the rhythm as you read. If you’ve had trouble finding great poetry books to read to your children, I hope this list will be a great help to you. I am sharing the 20 Best Poetry Books for Children and I hope you will love them as much as I have. Enjoy! 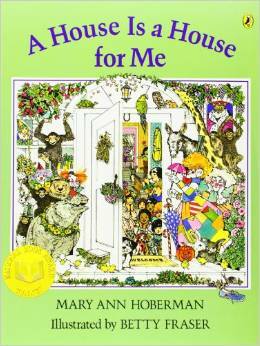 I had to begin my list of the best poetry books for children with a classic. “Green Eggs and Ham” by Dr. Seuss has long been one of my very favorite books. The simple rhyme scheme and playful story is one that has delighted children for years and years. 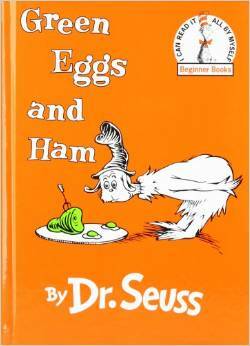 In this story, Sam I Am is trying to convince a quite disinterested character to try green eggs and ham. He strongly protests – in rhyme of course – but will Sam I Am make him change his mind? I have been reading my children this book since they were just babies. 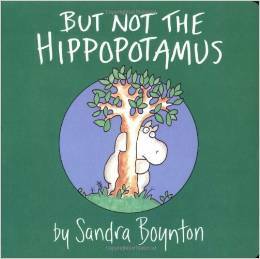 Sandra Boynton has such a great writing style and her books are perfect for babies and young children. In this simple book, all the animals are having fun together – but not the hippopotamus. Throughout the book we see the poor, lonely hippo being excluded from all the fun. Will she ever join the others? Find out in the delightfully playful story. Lloyd the llama can’t find his mama. Where could she be? 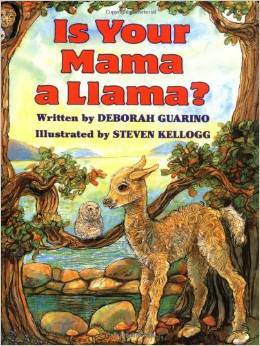 He asks his friends if their mama is a llama, but all of them say she is not. Will Lloyd ever find his mother? I’ve loved this book for as long as I can remember. If your child enjoys picture books, then this is definitely one of the best poetry books for children. It is simple, sweet, and easy to read. Find the story here. 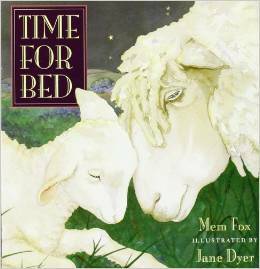 My children have always loved this bedtime story by Mem Fox. This simple story is perfect to read to your child before bed. In this lovable picture book, it’s time for the baby animals to go to sleep. The sweet rhymes of each mama animal are sweet and soothing as you put your own child to bed. It’s all your favorite nursery rhymes in a whole new way! 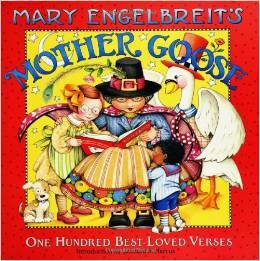 Mary Engelbreit’s beautiful illustrations bring these classic rhymes to life. This enchanting picture book will captivate your children. Engelbreit’s pictures are bursting with fun color and lovable characters. We’ve read this book so many times it’s quite worn and falling apart. You may have read nursery rhymes before, but you’ve never read them like this. 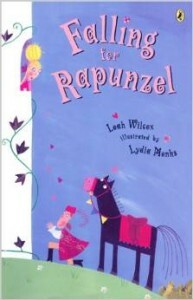 All of my children, from five to fifteen, love the princess books by Leah Wilcox. 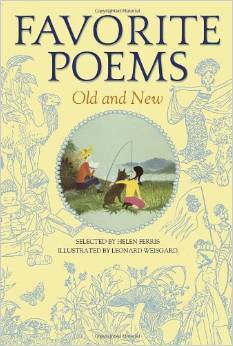 They are some of the best poetry books for children – especially girls. Poetry can be so fun, and Leah Wilcox does an amazing job of showing that with her fun books. With a creative twist, Wilcox tells the classic fairytales in a whole new way. This is not your average princess story. Rapunzel is in no need of rescuing and apparently not hoping for true love. This silly story will have your children laughing together as you read the story of the hard of hearing rapunzel, her cute maid, and the unfortunate prince who turns out to be quite pleased. 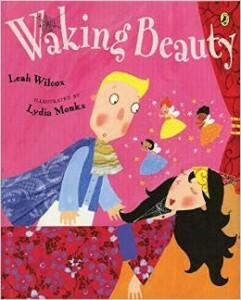 You’ve heard of “Sleeping Beauty,” but have you ever read “Waking Beauty” by Leah Wilcox? Having read and loved her book “Falling for Rapunzel,” we began searching for more of her books. We were all so delighted to find that she had written another silly princess story. We all know the prince must kiss the princess to wake her from her sleep, but unfortunately… he doesn’t know that. Will Sleeping Beauty sleep forever, or will the prince finally understand what the fairies are trying to tell him? I’ve shared a lot of picture books with you, so I wanted to mix in a few traditional poetry books that I love. While the books I’ve mentioned above have mostly been stories, this is simply a book of poems. When my children were very young, they received this book as a gift and we still have it to this day. The jacket is gone, the cover has torn, but this precious book is still held together by some tape. This truly is one of the best poetry books for children. 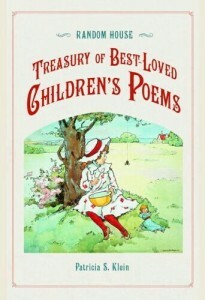 The “Treasury of Best-Loved Children’s Poems” is one of my very favorite poetry books for kids. 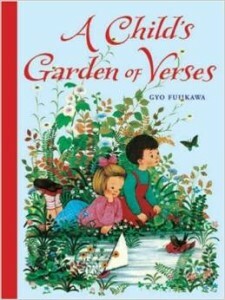 The rhymes are perfect for young children and the sweet simplicity of this book makes it great for a beginner in poetry. You may know of Winnie the Pooh, but have you ever read the original books by A. A. Milne? They are phenomenal! All of my children absolutely LOVE these books. Winnie the Pooh is a great favorite in our house. We can’t seem to read one of his books without laughing uncontrollably. The characters are so lovable, and Pooh is especially endearing. Because of our great fondness for Winnie the Pooh, we decided to read A. A. Milne’s book of poems. 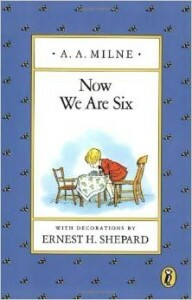 “Now We Are Six.” Although these poems are not about Winnie the Pooh or his friends from the Hundred Acre Wood, we still enjoyed them immensely. This book was recommended to me by a good friend of mine. 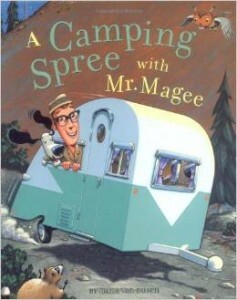 It’s a great rhyming picture book about Mr. Magee and his dog Dee and their adventures while camping. The illustrations are fun for kids and the silly story will definitely delight your children. I happened to pick up this book one day when we were visiting our library. Being the book-lover that I am, the title caught my attention. Sure enough, this book is now one of my very favorites. I love everything about it. The illustrations are so cute, and the story is absolutely wonderful. When I was creating this list of the best poetry books for children, I knew this had to be on there. 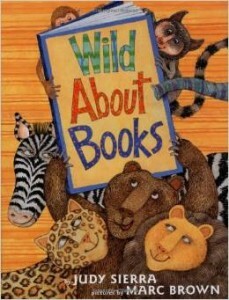 When by mistake the librarian, Molly McGrew, drives her bookmobile into the zoo, the animals get wild about books. This is a must-read for every child. Not only does the story encourage children to read, but it may help them learn the names of some animals. Robert Louis Stevenson is one of the classic children’s poets, and so of course I had to include him in the best poetry books for children. I love that he writes in a way that is relatable to children. He writes as if he is a child speaking. His poems are about being tucked into bed, or the little treasures he collected, or the adventures he imagines. Stevenson’s classic poems are sweet and simple. My children have always enjoyed them and they are essential in your personal storybook collection. I love Mary Ann Hoberman’s books. 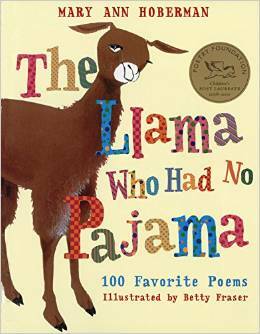 “The Llama Who Had No Pajama,” is a collection of her poems about childhood and all things relating to children. Kids will love reading about “The Birthday Bus,” or “Butterfish Bay” and all the other silly poems in this book. I loved this book by the very first page. It is, in my opinion, a poetry classic. I love the repetitive rhythm of the story and the clever ways she opens a child’s eyes to see that everything has a home. 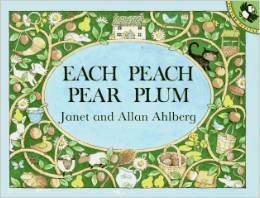 This beautiful book is the perfect read aloud and a great way to introduce children to poetry. Mom and Dad say it’s time for bed, but will the dinosaurs listen? 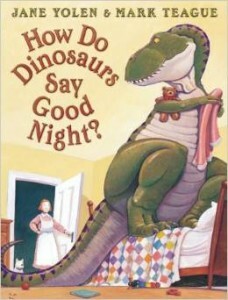 My kids loved reading this story about the different dinosaurs and how they might respond when being put to bed. Will they pout or slam their tail? Children and parents will enjoy reading the crazy antics of the eleven dinosaurs in this bedtime story. If you’re only ever going to buy one poetry book, this would it. I have read many poetry books throughout my life, but if I could only have one, I would choose this collection. “Favorite Poems Old and New” offers such a vast selection of poems. You are sure to find at least on poem to your liking. There is such a great variety in this collection. The book includes over 700 poems from poets such as William Shakespeare, Emily Dickinson, Langston Hughes, and many others. I believe it is the most comprehensive poetry book for children. I can’t recommend it highly enough. If you want to begin introducing your child to poetry, be sure to read this book. In this delightfully engaging book, children play “I Spy” with familiar nursery rhyme characters. Each page features a little poem encouraging the children to find the character hidden in the picture. With it’s charming illustrations, and simple text, this book is great for beginning readers. It’s the perfect book to read aloud with your child during story time. Children will be exposed to simple rhymes while having fun searching for the hidden characters. 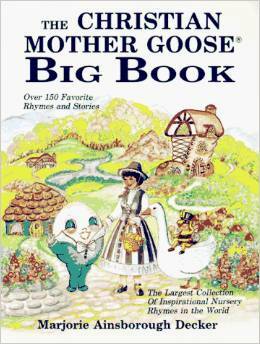 “The Christian Mother Goose” is a wonderful rendition of the typical nursery rhymes. I absolutely love it. Instead of reading silly rhymes that really have no meaning, why not read children beautiful poems that point to our Lord? I love the positive messages woven into each nursery rhyme. 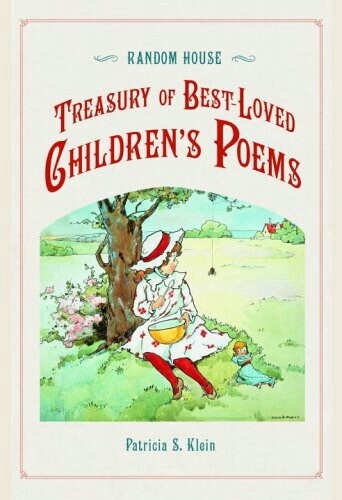 Marjorie Ainsborough Decker did an amazing job at transforming the common nursery rhymes into praiseworthy poems that retain the fun and silliness of the originals, yet go beyond to teach good lessons, and encourage children. It’s amazing how one letter can make all the difference. I love books that take a different angle to the usual story. It’s always fun to see how an author can add a creative twist to a common story. 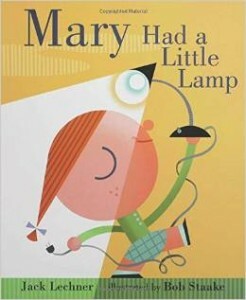 In “Mary Had a Little Lamp,” Jack Lechner does just that. You may have heard of Mary and her little lamb that would follow her around, but Mary’s lamp is another story altogether. Children will love this silly storybook and it will definitely have them laughing by the end. The last book I want to share with you, is one of my all-time favorites. I believe it was sometime last year that I happened to discover the amazing Jack Prelutsky. My children absolutely LOVE his poems. You can’t even imagine how silly they are. Prelutsky is the first Children’s Poet Laureate, so naturally he’s included on the list of best poetry books for children. 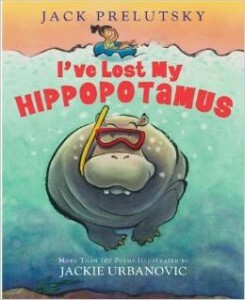 “I’ve Lost My Hippopotamus” was the first book we read by him, and we could barely put it down. My kids would always beg me to read another one. Children will love the pure silliness of Prelutsky. His poems are unlike any other I’ve read. I love that he maintains perfect meter and uses big words that help build vocabulary. If you want to start a collection of the best poetry books for children, be sure to include this one. It’s one you’ll be reading again and again. 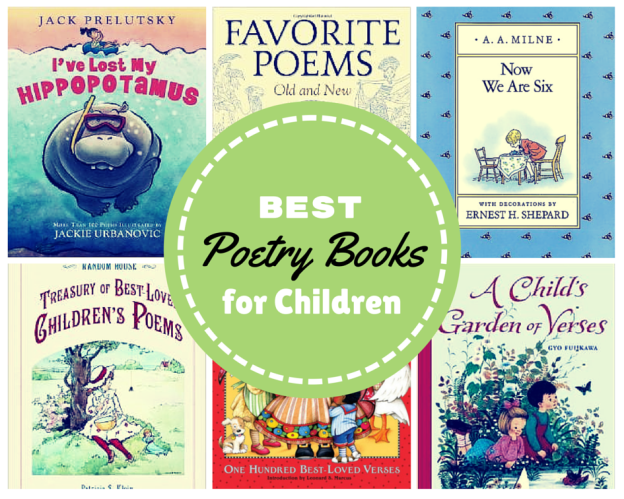 I hope you enjoyed this list of the best poetry books for children. These are all my favorites and I pray that they might bless your family as well. I am always searching for more great books, and I would love to hear what you favorite poetry books are. Please leave your recommendations in the comments below. Thanks! This entry was posted in Poetry, Reviews and tagged best books for children, book lists, book review, children poetry, children story time, poetry, read aloud, storytime on April 27, 2015 by monkiseeblog.